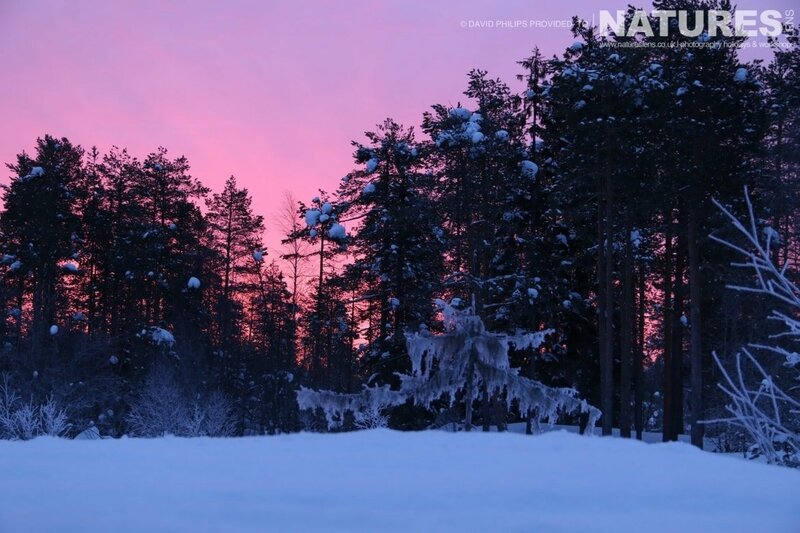 Sunrise also provided some gorgeous colours for some stunning landscape photography. 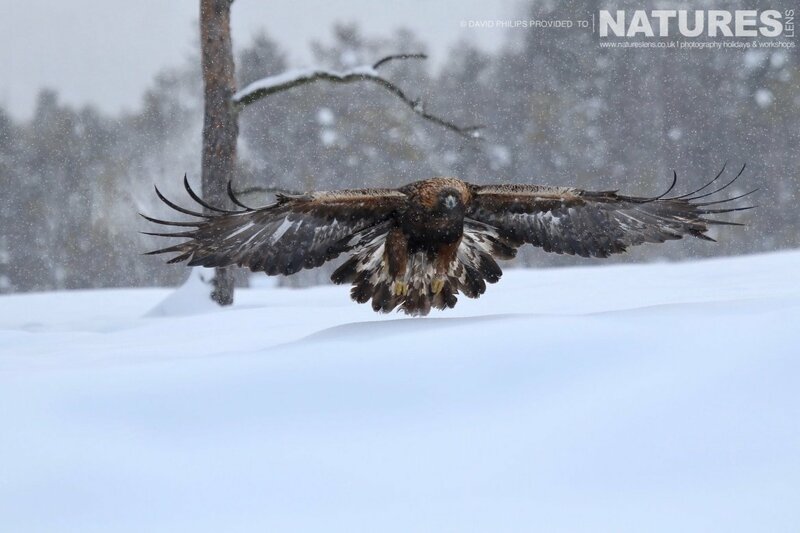 I always think that snow makes everything look prettier & the pink sky coupled with snow on the branches in the image below reminds me of a winter wonderland. 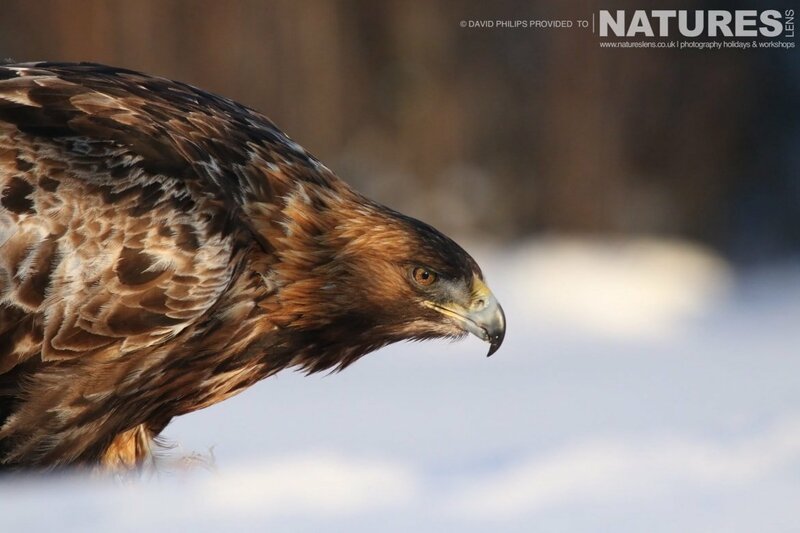 The Golden Eagles were the target species for our tour but the forest was full of wildlife such as siskins, magpies & red foxes. 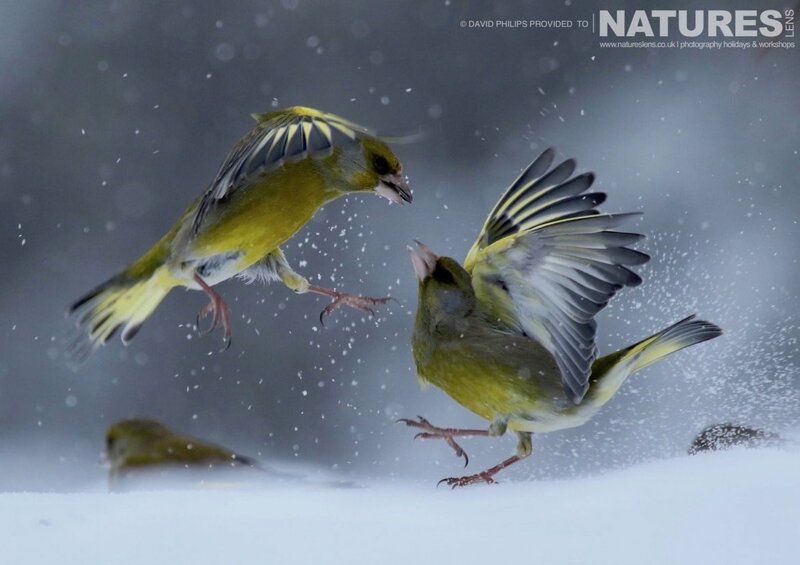 David captured this lovely moment of a pair of siskins throwing puffs of snow into the air as they squabbled. 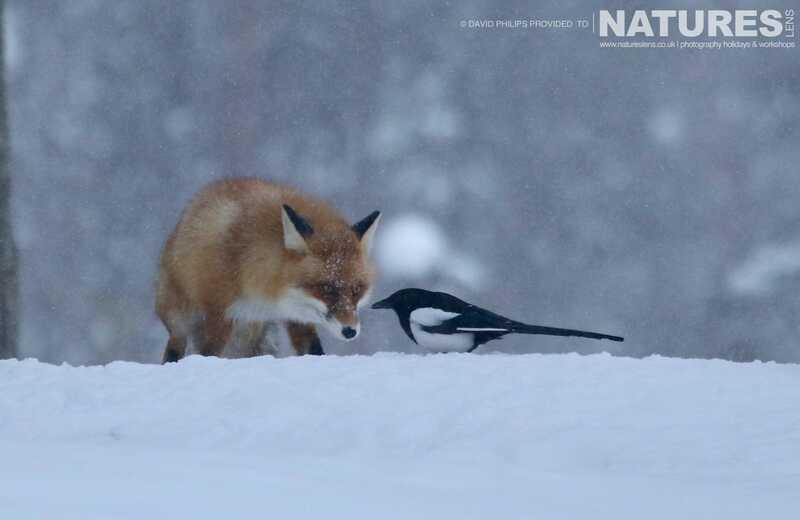 I also love his image of the fox staring at a magpie which is blissfully unaware of its presence. 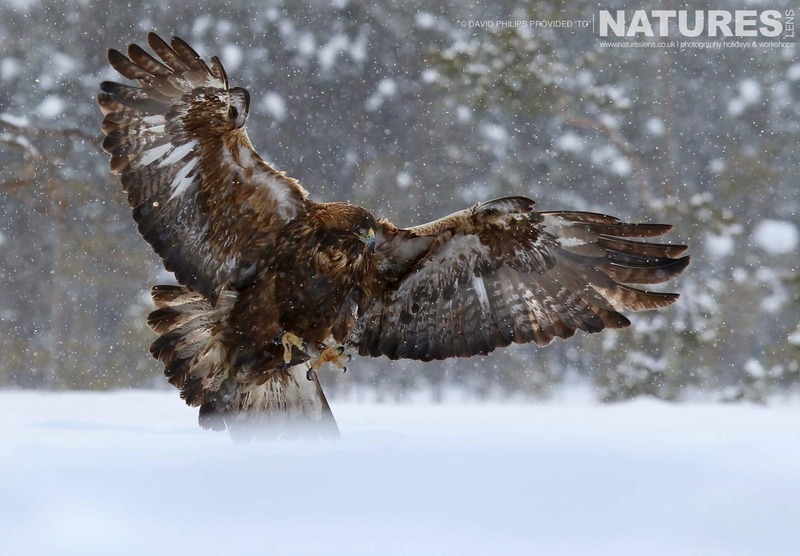 One of the challenges of snow photography is making sure that the subject is sharp, especially when it is snowing. I’m sure I’m not the only one who has photographed a pin sharp snowflake instead of an in-focus subject! 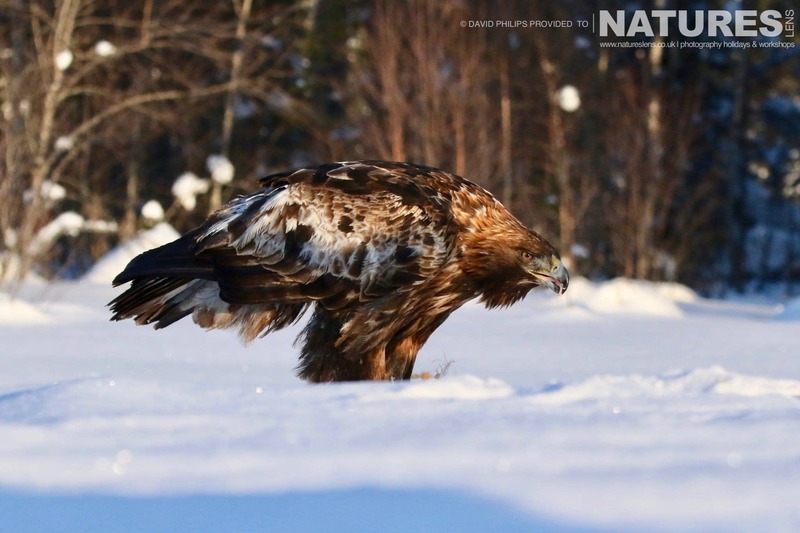 The Golden Eagles of the Swedish Winter was Murray's first trip with NaturesLens & he enjoyed himself so much that he went on to book another snow-related tour; which he has just completed, he visited the Ice Grizzlies of the Yukon with both of us. 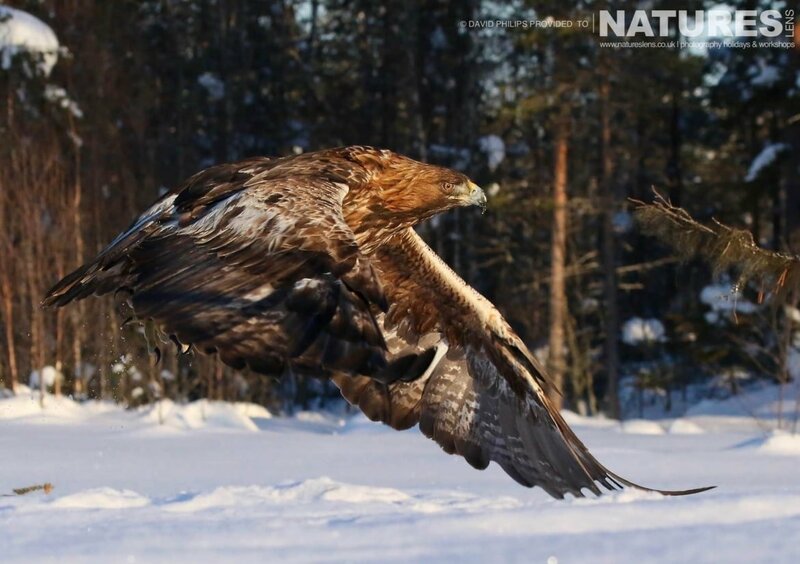 This entry was posted in client images, galleries, sweden and tagged eagle, finch, golden eagle, jay, siskin, snow, sweden, winter, woodpecker.